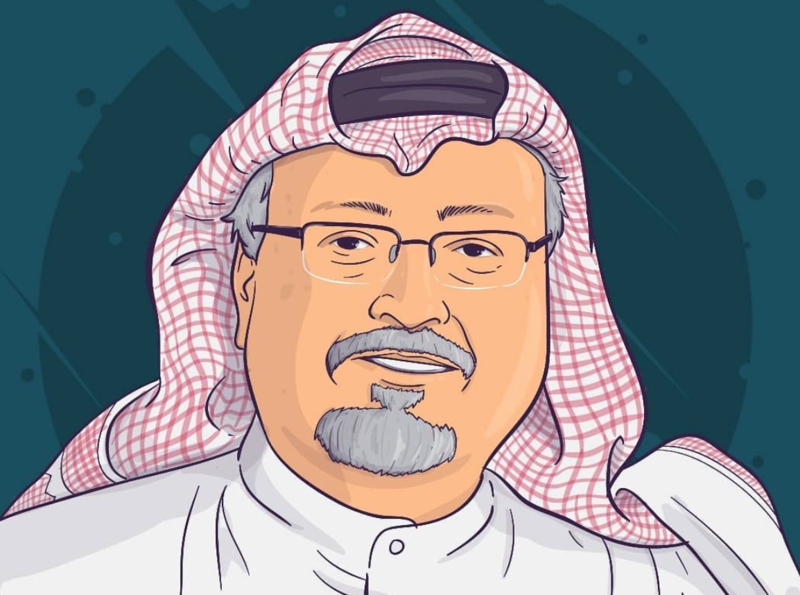 On October 2nd of 2018, Jamal Khashoggi, a journalist and American resident, was reported missing by his fiancée. He had unknowingly pursued a one-way trip into the Saudi consulate in Istanbul. By the end of the week, his death had been all but confirmed. At the top of the suspect list was the government he had pledged allegiance to for a large part of his adult life, but had recently forsaken with Prince Mohammed bin Salman’s rise to power. He found a home in the United States, where he became a columnist for The Washington Post, producing numerous articles critiquing the newly founded aggression of the Saudi government under the ambitious prince. His critiques of the government, coupled with his long professional history as a royal family insider, made him a red-hot target. In the interest of what might be considered national security by those responsible, Jamal Khashoggi was accosted on the eve of his wedding, and subsequently assassinated. Unfortunately, the cruel and inhumane self-preservation tactics of the Saudi government did not surface with Khashoggi’s death alone. In the pursuit of wealth, power, and global dominance, both on a micro and macro level, the Saudi government has precariously tiptoed along the line of international law, and often common human decency, for years. In 2015, Saudi Arabia launched a military campaign supporting Abdrubbah Mansur Hadi, the active ruler of Yemen, in an ongoing civil war against the Houthi rebels. While this campaign began as a way to support a pro-Saudi leader, it quickly became an opportunity for the Saudi government to assert dominance through a showcase of military prowess. Over the past four years, this has resulted in the countless deaths of civilians, many of whom are young children. Those who have not perished have been thrust into a state of absolute destitution, living on the edge of starvation and in constant states of malnourishment. Yet, the poorly planned and aimed attacks on ‘Houthi bases’ remain a consistent reality for Yemeni citizens. Throughout its riddled history of misconduct, Saudi Arabia has managed to maintain its image as the pinnacle of Islamic perfection. This has largely been due to a condemnation of outspoken Saudi critique within the Arab world, even as many Arabs fume in the isolation and safety of their social circles. This is a standard upheld as a result of an unspoken reverence of the nation’s rich Islamic history as the birthplace of Mohammed SAW. Saudi Arabia is the home of Hajj, the holiest and most prominent representation of Islam in the world; this has thus far made the nation itself, virtually untouchable. A refusal to actively speak out against Saudi atrocities has led to a misrepresentation of the role Saudi Arabia plays in Islamic dynamics. The non-Muslim world tends to look at the country and those who lead it as the religion itself, therefore conflating death and destruction with Islam and Muslims. Our complacency in the face of unchecked nationalistic and ruinously self-inclined behavior has led to a widespread misunderstanding of what it means to be a Muslim. A misunderstanding that has in some ways, fooled even our own. A distinction must be made by Muslims around the world between the importance of Saudi Arabia as a religious landmark, and the obvious corruption of its state. No nation is free of its faults, and no nation should ever be treated as if it possesses none. With a continued emphasis on holiness, the greed and ruthlessness of a deeply troubled institution are masked. Khashoggi’s death was both a beginning and an end. In many ways, he represents the start of an openly hostile government, one seemingly untouchable in the face of an increasingly impaired American president; however, in many others, his death is the kindling of a fire that has long since been ready for a spark. On January 25, 2019, it was announced that United Nations Human Rights Officer, Agnes Callamard, had been appointed to the investigation of Khashoggi’s death. The involvement of the United Nations insinuates a universal understanding of the importance of this assassination in shifting international perspective of the role Saudi Arabia truly plays, both within the Arab world, and the unsuspecting outside world it seeks to subtly control. It’s a wake-up call, especially to Muslims. We have a duty to our collective identity to be aware of our representation, and to hold accountable those who have failed us as a people. Saudi Arabia, as it stands today, has failed us.